The new EuroGrower from General Hydroponics is the ideal system for someone new to gardening. 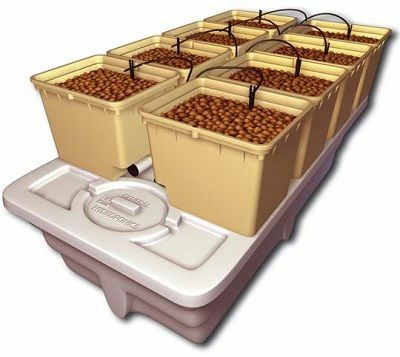 The EuroGrower provides users with a simple, yet elegant approach to home hydroponics. The heart of the EuroGrower is our custom designed 40-gallon Panda reservoir, which is more than adequate for its eight 2-gallon buckets. Whether using a soil or soil-less medium, growers can use the EuroGrower virtually anywhere. The EuroGrower comes complete with Flora Series nutrients, which are currently the industry standard.